Tragically, words are not the only “ammunition” that have been used by Janet’s enemies over the years. 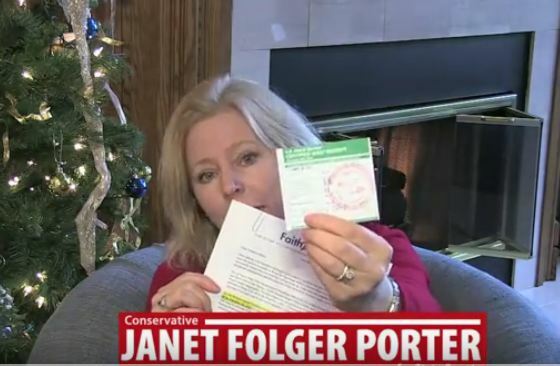 The pro-life leader has also received numerous threats, including having her vehicle sabotaged when someone cut her gas line. It happened in 1994 when abortion was front and center in the news much like it is today. Janet recalled seeing smoke coming out of her car prior to a political rally for a pro-life Democrat candidate she had planned to attend. After getting out of the car she saw a line of fire from the driveway into her garage, but thankfully the fire was confined to her car engine and she was not hurt. The fire was ruled as arson and although no one was ever charged, Janet had her suspicions that she was targeted because of her pro-life activism. Janet’s thirty years of pro-life activism began in high school where she was first convicted about abortion after she was shown a picture of an aborted baby for the first time. Today, Janet has spent the last few years working to pass the Heartbeat Bill in Ohio. This legislation works on the premise that if death is decided when a heartbeat ends, then life should be protected when the heartbeat begins. She told Saynsumthn that her involvement in a failed pro-life initiative in South Dakota helped birth the concept behind the Heartbeat Bill.